Get your white outfits out of the closet! On Thursday, the 13.6.2019 will be stylishly celebrated in white - as you know it from the last few years! 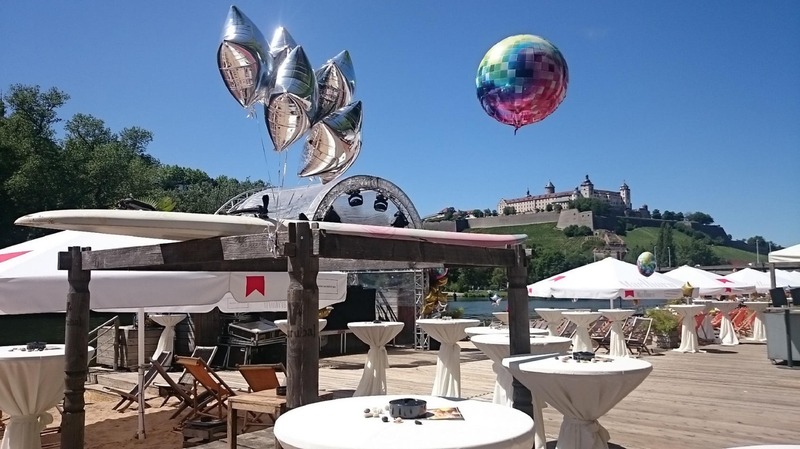 In 2019 we expect you for the second time on the city beach Würzburg. Look forward to a beach party with wine & cocktails in white! At the end of July on the 27th & 28th of July, the time has come again. Adrenaline guaranteed when jumping from the 60 meter high mobile crane with breathtaking views. The event takes place for the 10th time - we are very proud of that! One or the other "goodie" awaits you. Even as a gift, this adrenaline kick is ideal.